What country are they shipped from? 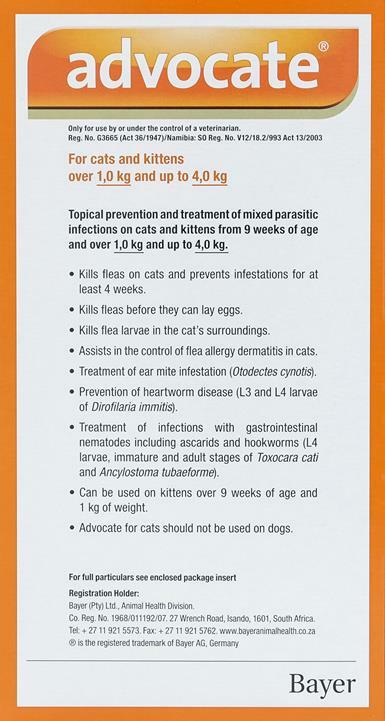 is this product can be applied to 3months old kitten? Hi, I'm thinking of ordering Advocate 6 Pack Small Cat under 4 kg and would like to know the expiration date for the product. Thank you. All products are well within expiry dates. Generally the items are manufactured about six months ago with a three year lifetime, so on average you have about 2.5 years before the expiry date is reached. Since batches cahnge regularly we are unable to provide exact dates of what will be sent. Advocate is an over the counter products in the country they are shipped from and no prescription is needed.